A surge of anger and solidarity after months of organizing brought down the president and chancellor at the University of Missouri—sparking a wave of solidarity demonstrations on campuses around the country. What made the Mizzou Rebellion happen? 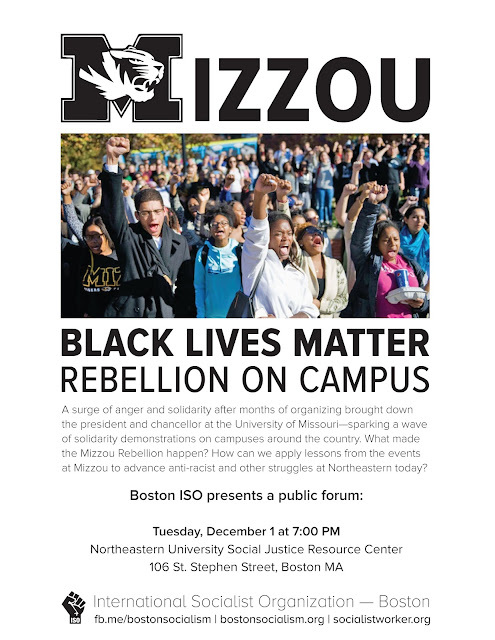 How can we apply lessons from the events at Mizzou to advance anti-racist and other struggles at Northeastern today?